There are a lot of companies out there that work with data capture to find out more about their products, services or just themselves. Many of these companies could probably benefit from data capture services but never have done it. Data capture is often wondered about and is something that you may have heard of but never really dared to venture into. Everyone from street salesmen to employment agencies to the largest corporations in their huge skyscrapers use surveys and data capture to find out what people think about them and the services they provide. It can prove to be the most vital research to do as it’s often better to get an external opinion, rather than your own, on the way that things work. People who work within the company tend to get absorbed in it and can miss the important things like how good customer service is, what their outgoing personality is like, how they are perceived, among others. These are questions that only people who are unrelated to the company can answer. Whether you’re a small or a major company, surveys are a good way to go and data capture is the best way to gather that information found. How does Data Capture work? 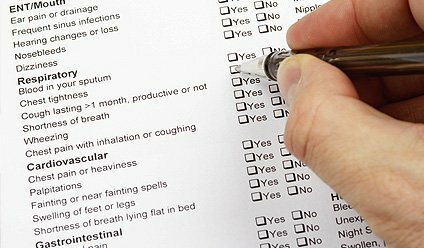 Companies like us here at Pearl Scan, will usually have software which can use data capture methods to detect certain areas on the form such as check-boxes or tick-boxes in multiple choice questions. With that software, we can convert the found data into something that is presentable and can be easily read and examined rather than going through lots of surveys one by one. Handwritten areas will be captured manually as the software haven’t developed far enough to read handwriting yet as everyone has different handwriting styles. For one person an ‘O’ (the letter) could be a ‘0’ (zero) or a ‘B’ could actually be a ‘P’ etc. However these services are not costly to obtain. Check or tick boxes are fairly simple to capture using our top of the line software. In the past, have you filled in forms and been told to make sure your crosses don’t go too far outside the box? Well this is why. When our machines scan the data, they will note down the boxes that have been clearly marked. Technology is a lot better than when this used to be common, but it’s still best to be sure. Multiple choice questions are easy for the software too. The reason for this is that before we start scanning and collating your information, an initial form will be taken and scanned. The software will then be taught where it needs to check for answers and check boxes so it can give an accurate result. Once this template is in place, it is just a matter of scanning documents and letting the software find the appropriate information. If you would like some more information about the data capture services we offer here at Pearl Scan, including capturing data from invoices, medical research data capture and customer feedback form capture, please feel free to contact us.